15 Unusual Aquarium Designs: #11 Is Amazing! Today, with all of the advancements in technology, it’s not herd to create an awesome aquarium that stands out from the rest. 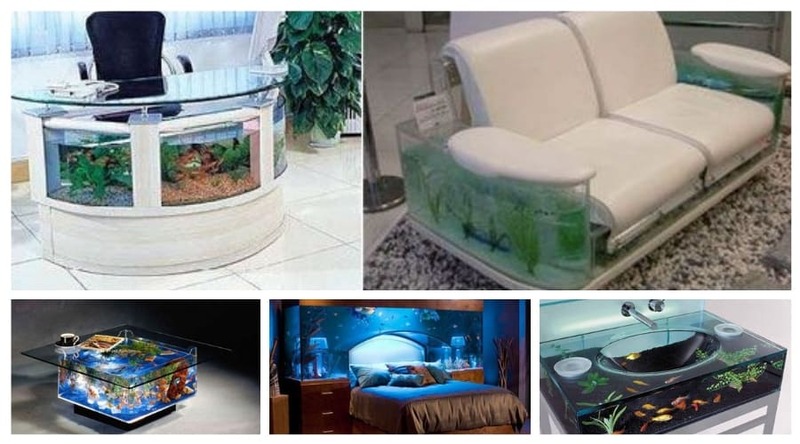 If you’re like me, you’re reading this because you want some ideas on some unusual designs for your fish tank, am I right? I have been searching for something new to do with my tanks, but I haven’t settled on anything yet. Instead, I compiled this list of possible ideas and also some really unique designs that I thought were pretty cool. 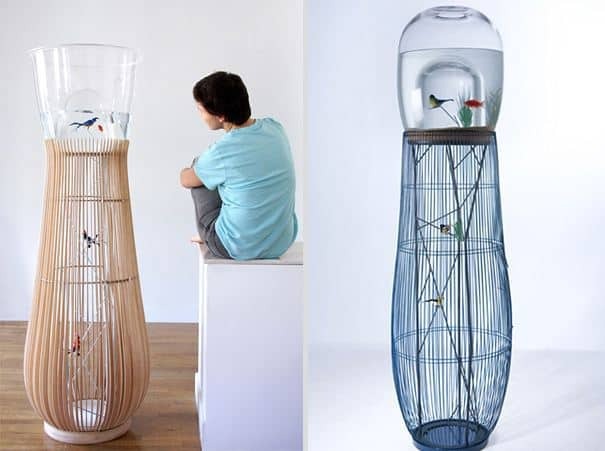 Check out these nifty aquarium designs. Honestly, this is something that I really want to do in my home. 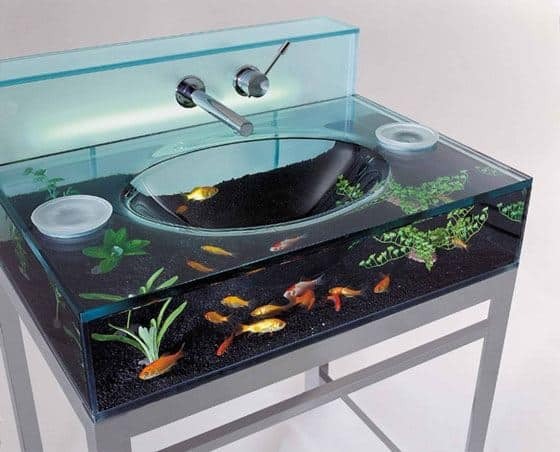 It’s basically a clear sink with your normal gravel and fish inside of it. You can feed the fish through holes in the top and you can remove the top of it completely for cleaning. This design may have the ability to be altered in other ways, but this is a pretty basic version. It may actually get your kids more interested in bathroom activities if they have something cool to look at the whole time. This fish tank is ideal for the home office. It involves a few fish tanks built into an office desk. This is something quite unusual to see when you walk into an office, but it’s something that would be really cool to see in the home as well. Not to mention, the sound of the water running could be quite soothing on those really tough days. This is another unique aquarium that I would love to have in my home. 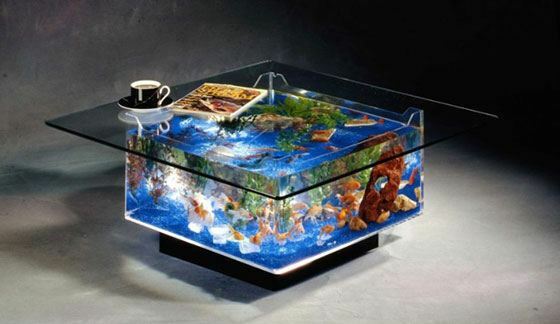 It’s has the same concept as the aquarium sink, but it’s inside of a coffee table. It’s a great statement piece as well. 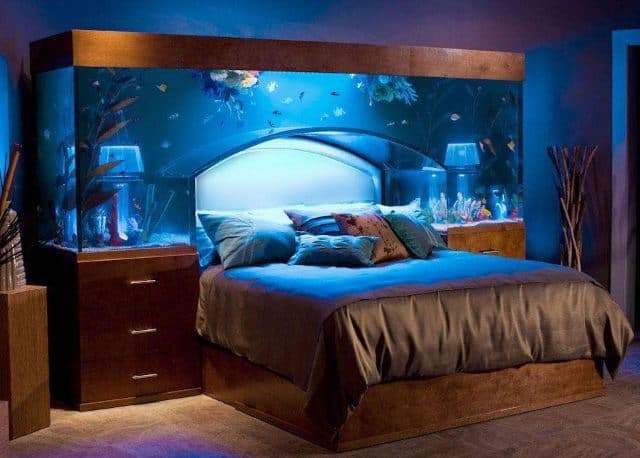 With this tank, you’ll be able to enjoy the constant view of your fish right from the comfort of your couch. It’s not a huge aquarium, but it’s small enough to hang just about anywhere. 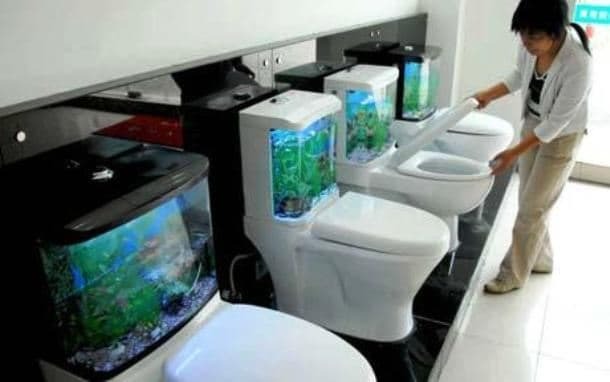 This is ideal for those who have kids that want fish. They can tough the jar all they want and they won’t spill it. 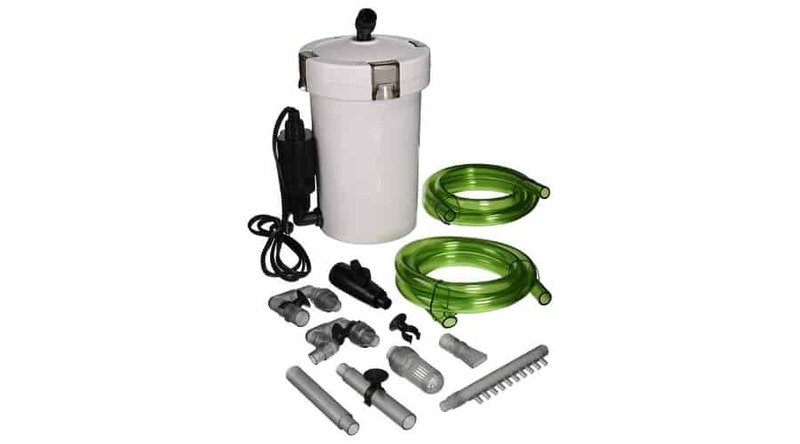 These are great for betta fish and other fish that don’t require a filter to live. This is definitely a rather unique piece. WIth this kind of aquarium, you can link multiple tanks with a pipeline that kind of weaves throughout the house. 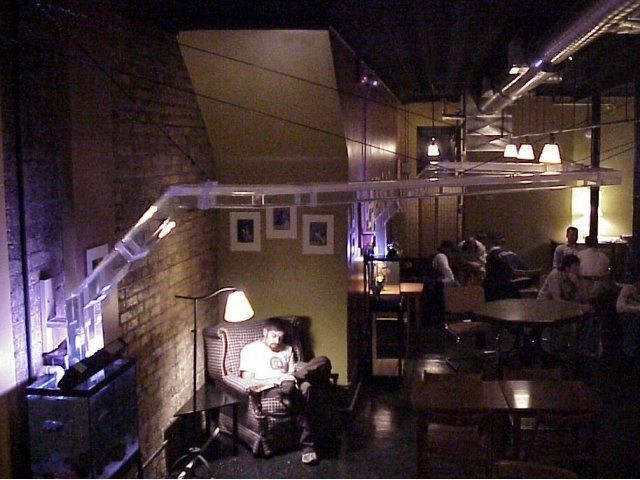 The fish can swim freely from tank to tank through these clear pipes and you can watch them from the comfort of your couch, bed, or recliner. Sometimes our jobs are rather frustrating. So, instead of taking your frustrations out on your boss or coworkers, why not sit back in your chair for a few minutes and watch some fish swim past your desk. 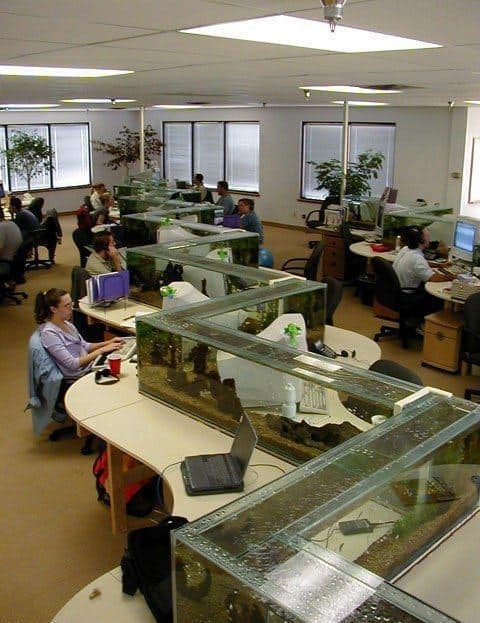 That’s right, this aquarium design can be built on multiple desks and used as dividers. 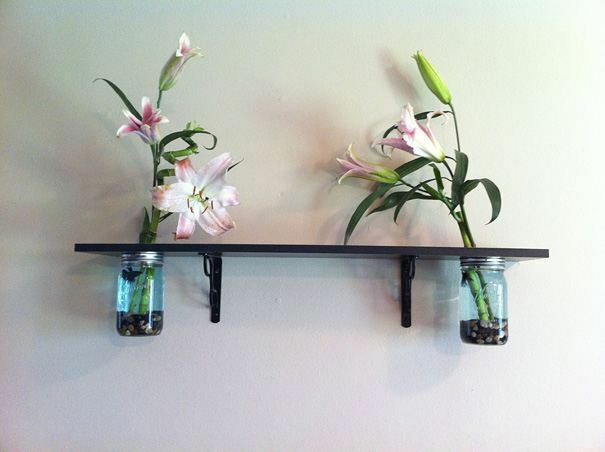 Employees will be much happier and they are much nicer to look at than plain white walls. 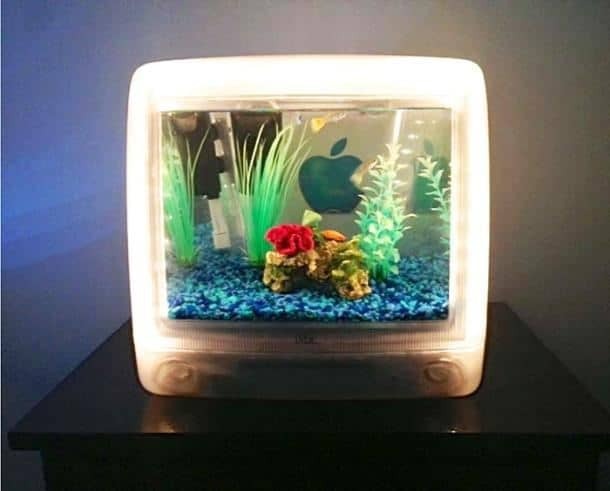 This is a pretty cool way to repurpose an old monitor from a computer. You can remove the guts and replace everything with the standard fish tank accessories. 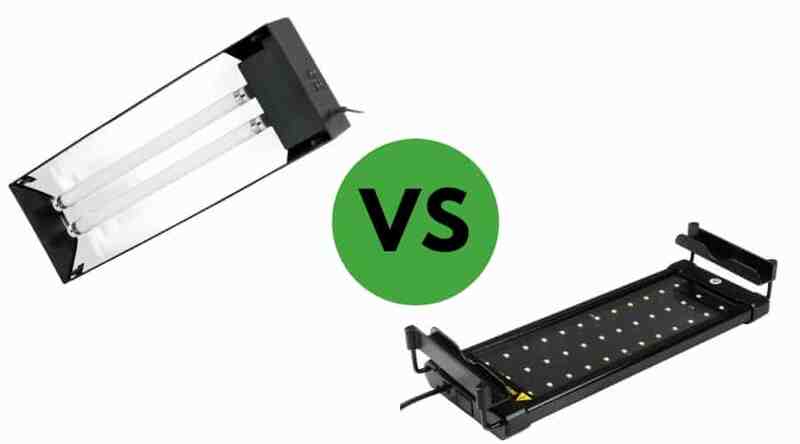 You may be able to install a filter with it, depending on the size of the monitor, or you can use it as a plant tank or betta tank, something that doesn’t need a filter. Aquariums aren’t always for fish and reefs, they can also be inhabited by jellyfish. These cute little tanks are ideal for smaller jellyfish. You can put them on a counter, in bedrooms, offices, and more. You won’t have to travel to the aquarium to see them anymore. If there were one of these at every bus stop, it would make the wait more enjoyable. These aquariums are built under the AquarioMania project and are located in Brazil. 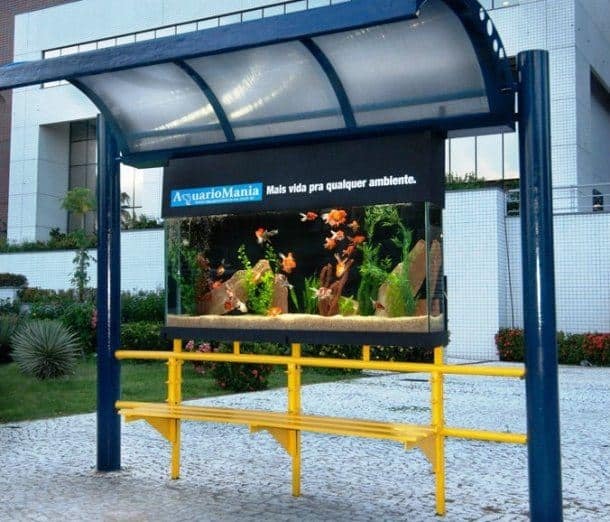 You can view colorful fish while waiting for your bus. Let’s hope that they make this available in North America, as well as other areas. Remember the sink tank from earlier? This is the same concept, but it is built into a toilet rather than a vanity. These toilets, common in China, have a few benefits. They have three separate tanks- one for outflow, one for inflow, and one for the fish. They are meant to conserve water while adding a little bit of pizzaz to your bathroom. Maybe they will be available in the Americas sometime soon. Personally, I love the look of the older model televisions with push buttons and antennas, but they really serve no purpose anymore. Wait, they can, though! 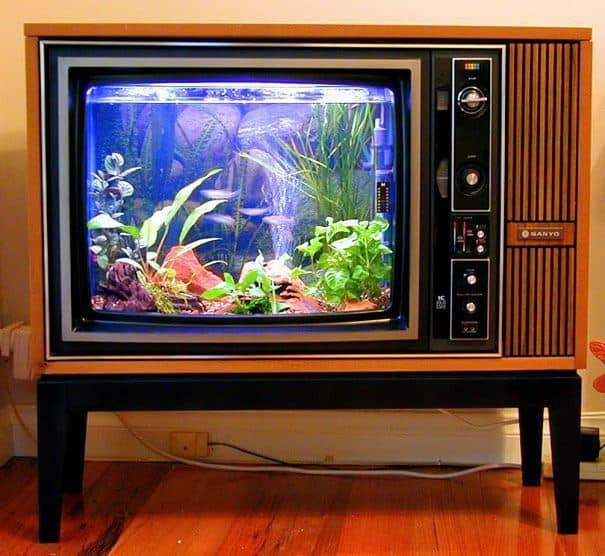 With a little bit of handyman skills, you can convert the screen into a fishtank. Let’s face it, staring at fish all day is probably more entertaining than some of the junk on TV these days. 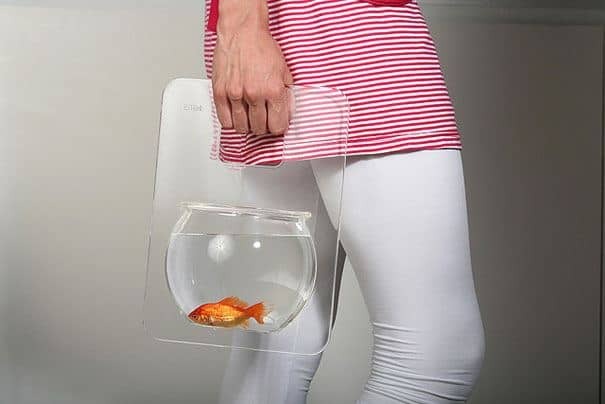 Do you feel sad when you have to leave your fish at home while you go for a walk or to work? 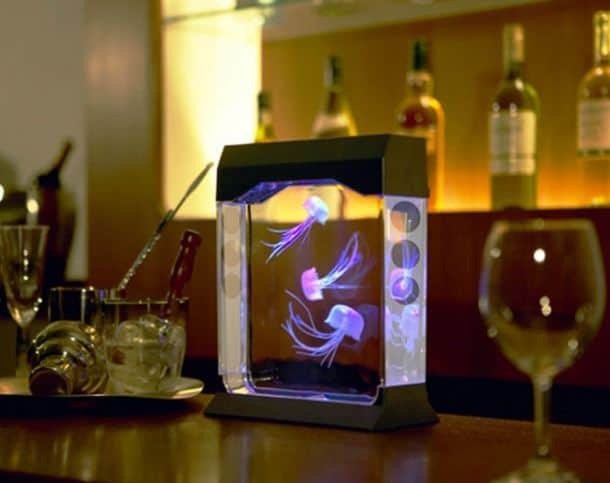 You don’t have to anymore with the portable fishbowl. If you want to take your fish for a walk, the handle allows you to do so while avoiding shaking up the fish too much. Sometimes, aquariums just take up too much space, especially in places where space is limited. These hanging fish tanks are ideal for desks and night stands. 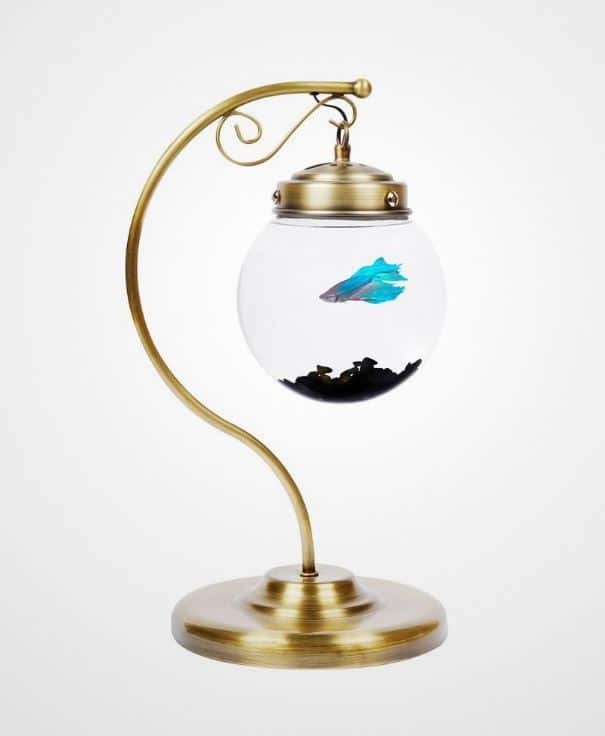 It incorporates the design of a desk lamp and just adds the small fish bowl instead of a light. These aquariums are quite spectacular. This is a two story housing for both fish and birds. Under the tank is a bird cage, allowing the bird to fly at the same visual level as the fish. This gives both the fish and the bird a unique living arrangement. 9 Celebrities With Fish Tanks: #8 Is Awesome!